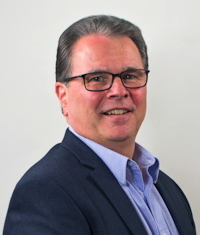 Brian Larkin, CEO of SP Industries, Inc. (SP) has announced the appointment of Martin Tricarico as Senior Vice President of Sales for SP Industries Scienceware and Ableware divisions. Tricarico who has an extensive leadership background in life sciences and related markets from start-ups to multinational corporations that include GE Healthcare, has been tapped to lead the sales and customer service teams covering catalog and OEM sales for Wilmad-LabGlass, Bel-Art and Maddak brand products. SP Industries, Inc., is a leading global provider of state-of-the-art laboratory equipment, a full line of research, pilot and production freeze dryers and aseptic processing drug manufacturing solutions, laboratory supplies, specialty glassware and aid for daily living. SP’s products support research and production across diverse end user markets including pharmaceutical, scientific, industrial, aeronautic, semiconductor and healthcare. The company’s three flagship divisions (SP Scientific, SP Scienceware and SP Ableware) include market leading brands Bel-Art, FTS Systems, Genevac, H-B Instrument, Hotpack, Hull, Maddak, PennTech, VirTis, and Wilmad-LabGlass, and represent over 400 combined years of experience, quality and innovation. SP is headquartered in Warminster, Pennsylvania and has production facilities in the USA and Europe.